The view of the Tree of Life Synagogue from the intersection of Shady Avenue and Wilkins Avenue. At least eight people are reported dead and others are injured after a shooting at a synagogue in Pittsburgh on Saturday morning. A suspect reportedly surrendered to a SWAT team on the scene. 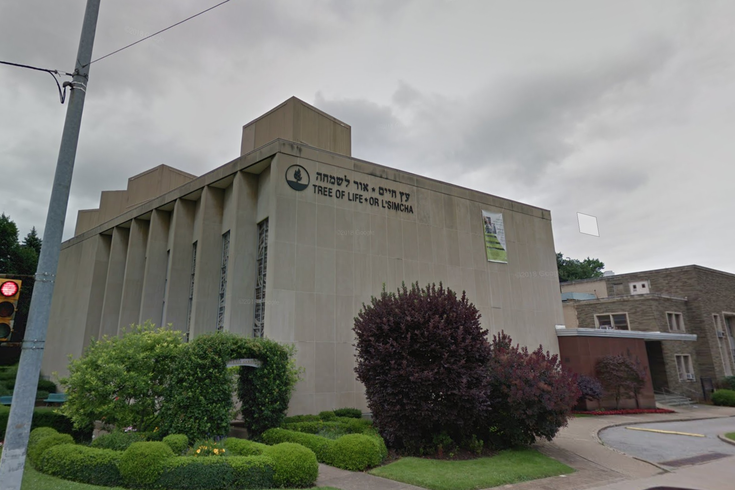 The shooting took place at the Tree of Life Synagogue in Pittsburgh’s Squirrel Hill neighborhood, a residential, predominantly Jewish neighborhood. The synagogue itself is located across the street from The Children's Institute, an organization which offers on-site treatment for children with special needs. The synagogue is believed to have been full for a Saturday service, and people were reportedly barricaded inside the synagogue, according to KDKA. When police officers arrived on the scene, the gunman reportedly opened fire on the officers, and three were shot. This is a developing story. We’ll update with more information as it becomes available.